Here at Commercial Irrigation & Turf, we are your leader in commercial, residential and golf irrigation in Central Illinois. In fact, we have been doing this for three decades, with the goal of making Galesburg’s grass lush and healthy. We also perform geothermal well field installation under another business name, Commercial Underground and Geothermal, and our service area spans Galesburg, Bloomington and surrounding areas. Rely on our highly-trained professionals to work alongside you through every phase of your project. Did you know every member of our staff receives hands-on training in installation and construction of sprinkler systems? This ensures we can deliver the best value for your investment. 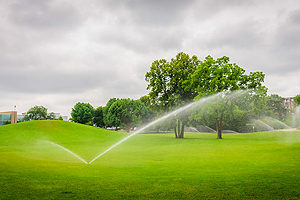 Therefore, for sprinkler systems Galesburg, IL needs to grow, select Commercial Irrigation & Turf. All our sprinkler systems come with a full warranty to protect your investment now and in the future. 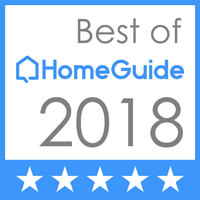 We are Central Illinois’ #1 irrigation contractor for a reason! From CAD drafting for plans and specifications to custom programming charts and advanced irrigation controllers, we take our jobs seriously. 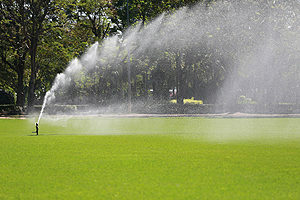 In conclusion, for high-quality, effective and affordable sprinklers systems in Galesburg, IL, call Commercial Turf & Irrigation today at 309-698-3011 or complete our online form for more information. We are located in East Peoria at 109 Commercial Drive.